The New England Patriots are playing in their eighth consecutive AFC Championship game this weekend. This time, however, they will be on the road to ​face off against the Patrick Mahomes-led Kansas City Chiefs. Both teams will have to ​battle frigid temperatures this upcoming Sunday, as they could potentially reach below zero. Don't expect Patriots head coach Bill Belichick to use that as an excuse. Patriots wide receiver Julian Edelman revealed what Belichick told the team about the potential Arctic blast, and it's safe to say Belichick does not give a damn about the weather. Just go out and practice in it. Should we expect anything else from the stoic head coach? Just prior to their Divisional Round matchup against the Los Angeles Chargers, Belichick stressed that they were playing the Chargers, not the 20-degree weather. In all honesty, the temperature won't really matter once you're running around and the blood is pumping. But, be sure to wear a jacket and maybe stand in front of the industrial size heater on the sidelines, just to avoid the potential of frostbite. 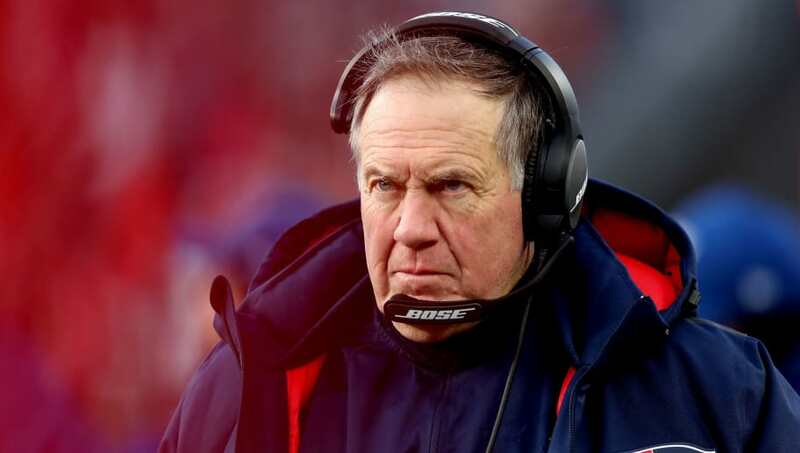 Belichick has never focused on the secondary factors in each game, especially in the playoffs. He knows the trouble the Chiefs can give them, and he will set his sole focus on Kansas City in the cold and loud Arrowhead Stadium.